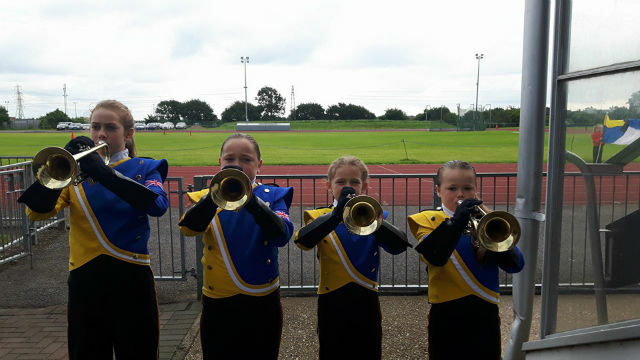 Thurrock Marching Brass marched and performed a static show at the sports field at Blackshots, Grays, Essex on Sunday 26 June 2016. This set the scene for a full day of fun and sports for youngsters of all ages and abilities, in support of Thurrock Mencap. The young marching band were excited to be invited by Thurrock Marching Brass alumni, Penny Meadows, who’s work with the youngsters and with the society has made a significant difference to so many lives. We are extremely proud to have been able to support such a worthy event. Posted by News Editor on Friday, July 8th, 2016. Filed under Drum Corps U.K., FrontPage Feature.